The cello part for the Overture from von Suppé's Morning, Noon and Night in Vienna has been edited by Stephen Geber, who served as the principal cellist of the Cleveland Orchestra for 30 years, from 1973 until 2003. Geber's bowings, fingerings and other editorial markings have been added throughout the score. 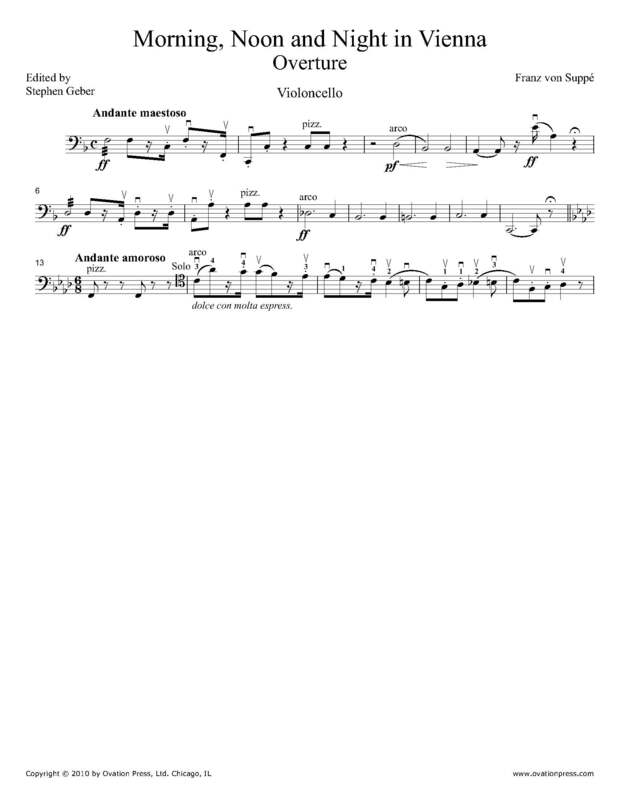 Download and print the score today to gain access to expertly edited von Suppé Morning, Noon and Night in Vienna cello fingerings and bowings from Stephen Geber!